Today I’m thrilled to introduce you to the lovely and talented Rita Borg! Thank you so much for joining us, Rita! I started writing when I was 9 years old. I loved the Waltons and Little House on the Prarie. John boy and Laura set me off writing. But when my 7 year old sister died of cancer, I could not pick up a pen. I was 23 then. But after my third child was born, my husband told me of a writing competition he found on the local newspaper. I entered but I did not win. But the editor called me up and told me how much she enjoyed my essay about the murder of a toddler in England. She asked if would I like to start writing articles for the paper? I said yes and my writing career started.I have been writing and learning about writing ever since. I was educated at Blessed Sacrament School and St. Jean Baptiste High School in New York and studied children’s writing with the Institute of Children’s and Teen’s Literature in Connecticut. I also read for a diploma in child psychology at the European Institute of Education. 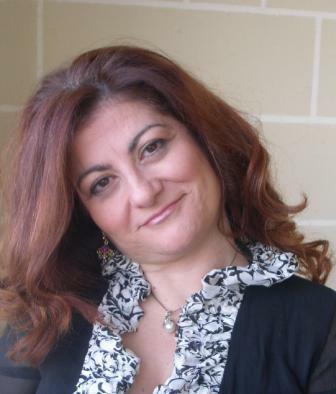 I reside on the Mediterranean island of Malta, where I regularly perform storytelling and creative writing workshops in schools across the country. I am also a freelance writer for local magazines and newspapers, a mother of three, and have published four picture books aimed at early readers, as well as an anthology of short stories for older children. My books have received multiple printings as well as peer-acclaim and recognition at the Malta National Annual Literary Awards. My last book, Don’t Cross the Road, Holly!, was chosen as the best 2009 Children’s Book in English. I am a member of the Society of Children’s Writers & Illustrators of the USA, as well as its chapter in the British Isles. SLH: Did you try the traditional publishing route? What was your experience? RB: I have been studying the craft of writing for the past 12 years. Lately, I got in contact with an editor. She helped me out with several picture book manuscripts. I chose the best one and sent it off to 20 publishers and some agents in England. Most of the publishers I contacted wrote back saying how charming the book was, or it is a great story, or it would be great illustrated. Yet, no one wanted to take a chance of publishing it. Is it because I live so far away in Malta? So I decided to do it myself. SLH:What made you decide to pursue self-publishing? RB: I already have two published books but they are in the Maltese language. The publishers here in Malta obviously want to promote their language. However I grew up in New York City, my first language is English. So, I self-published three bilingual Maltese English picture books. But they could only be distributed in Malta which has a population of only half a million people. So I started thinking about self publishing outside the country with a company like CreateSpace. RB: I didn’t do that much research to be honest. I heard about CreateSpace; many authors were using it, so I decided for my first book it would be good to go with the experts. SLH: Did you hire an editor? RB: Hiring an editor is a must. I had one during the writing of the story and hired another one through the company and was part of the publishing package. SLH: How did you choose your illustrator? How did you work out paying the illustrator and did you have a contract? Did you have a lot of back and forth discussions with your illustrator about the art? RB: The illustrations are again part of the package if you so wish. CreateSpace sent me four names of illustrators and I chose the one that I saw best fitted the theme of my book. I chose two that I really liked. My first choice was available to work and in six weeks she drew all the illustrations. There was one or two which I changed some aspects of the pictures. But I was lucky, I had little to change and I loved the simple, colourful illustrations at the start. SLH: Did you hire a cover designer or did your illustrator design the cover? SLH: What formats is your book available in? Hardcover? Paperback? E-book? Print-on-demand? RB: So far, my book is only as a Print-On-Demand paperback picture book. I first want to see how well the book sells before I turn it into an e-book. Self-publishing can be quite expensive if you are not careful with your money. SLH: How have you gone about marketing your book? What has been most successful? RB: Along with advertising on Facebook, being interviewed here is my first attempt at marketing. I still have lots of work to do! I need to contact reviewers, give giveaways, and do more interviews. It’s going to be fun. Also, if I had been traditionally published, I still would need to market myself. So I am learning a great deal from all of this. SLH: Do you do school/library visits or library/bookstore readings/signings? How did you go about getting them? How have sales been in relation to those visits? RB: I visit libraries and schools all the time in Malta. I am a storyteller by trade. This is the best way to sell books. It is the personal touch rather then a book on the shelf. I plan to do a lot of visits to bookshops, libraries and schools for my book Meg the Egg, too. SLH: What advice would you give other authors who are thinking about self-publishing? RB: JUST DO IT! Don’t let the people at the gateways of publishing ruin your dreams. SLH: Any particular pitfalls to avoid? RB: Check and check everything you do. Don’t be flippant; be diligent. No one cares about your book more than you do. RB: This was an adventure, a scary, intrepid adventure but if my book sells and the children love reading it, it is very worth it when you have given up on traditional publishing. If you’d like to find Rita online, you can visit her Website and like her on Face Book. And, as if all that information weren’t enough, Rita has kindly offered to be available to answer any questions you might have so fire away, AND she is giving away a copy of Meg The Egg (which is very cute – I have read it!) to one lucky winner! And that, my friends, concludes our mini-series on self-publishing. I know some of the posts were long – our authors were so very generous with their knowledge and expertise! I hope you all learned a lot, and that those of you who were previously hesitant about self-publishing now feel more confident and prepared to take it on! 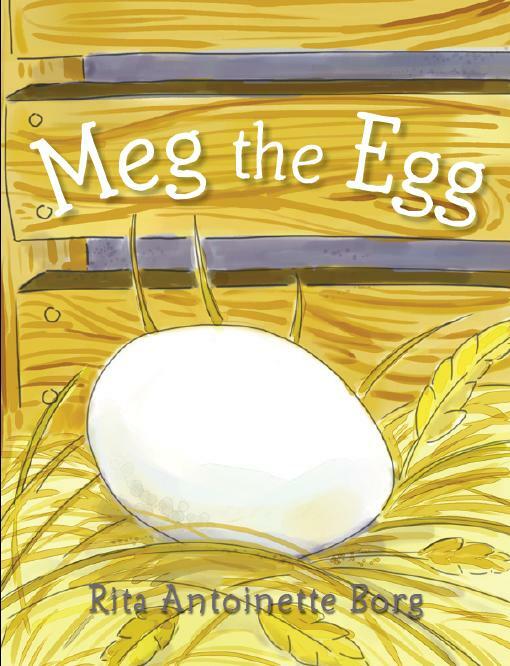 I would love a copy of Meg the Egg to share with my grandchildren. Well, you are on the first step to getting it just by your comment. Good Luck ! Lovely to hear from someone in a more remote European nation and the challenges you face. I was so glad to hear the importance you give to good editing and admire you choosing the self publishing route when location seemed to be working against you. Rita, good luck with further marketing and getting Meg the Egg into the hands of kids who will love it! I will hop on over to your FB page right now! Thank you so much for this rich mega mini-series, Susanna! And I hope you had a great vacation! I would love to have the book! Please put me in! I like this interview! 🙂 I like the idea of CreateSpace. I've read a bunch of really awesome books that have been pucblished on CreateSpace! I love that you went after your dream. Right now I'm shopping around some picture books but if I don't get them published traditionally, I will go the self-publishing route. Also I would love to win a copy of your book. You're in! 🙂 And you're right – you may have read more Create Space books than anyone I know – you review them all the time! Well, if you decide to go the self-pub route at least you can hop back here and remind yourself of all the great advice and info that Suzanne, Vivian, Patrick and Rita had to share! CreateSpace sounds brilliant. Thanks for a great interview and I'd love your book too. Thank you all! I wish I can send the book to all of you. Susanna thank you for your kind words and thoughts. You don't know how much they mean to me. What lovely people you all are! Very interesting and inspiring post! Thank you! I so appreciate that each author has brought a different perspective to the series. Well done, all! I already 'like' you loads, Rita! 🙂 Just wanted to say how much I enjoyed the interview and learning about your experience self-publishing with Createspace. You're most welcome, Rita! And thank you for joining us today and sharing all your hard-won wisdom so freely with all of us! You should see Meg The Egg, Robyn. It's really cute! I didn't know Create Space had illustrator choices, and Rita's did a good job. I'm so glad you've enjoyed it Beth. I've learned a lot. It's great to get 4 different perspectives! It was very educational, wasn't it? We were so lucky to get 4 such generous writers to share their experiences! Thanks for introducing me to Susanna's blog. It has been great! What a remarkable story of determination, will and perserverance. Very inspiring. I wish you continued success. Hi! Looks like I “joined” the self-publishing “party” mini-series late. Very interesting. My mom told me about Create Space about a year ago. I haven't brought myself to go self-pub yet. Congrats! I think marketing will be the hardest part. I had heard about Create Space and it was so interesting to hear more about how it works. You gave excellent pointers for someone considering self-publishing. It is so nice that you shared your experience for others to learn. I “liked” you on FB, Rita! Good luck with your books and writing. 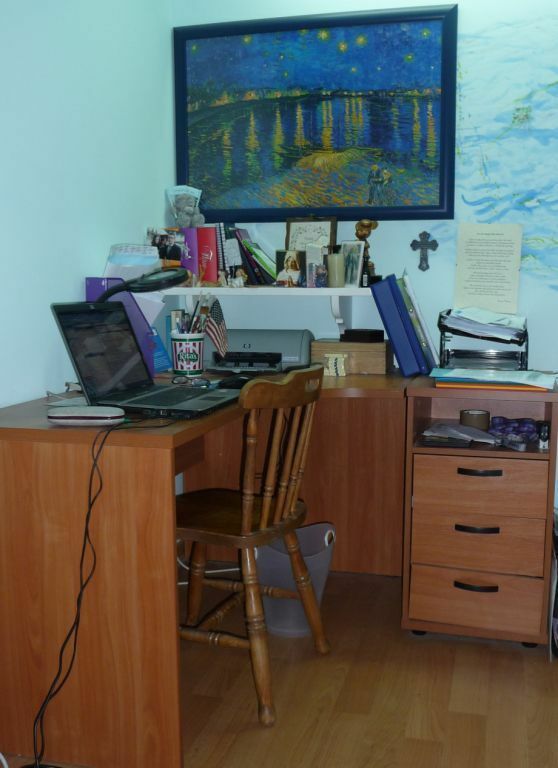 Susanna~thanks for this series on self-publishing!!! It has been very informative. marketing is definately the hardest part of it all but as I said , in traditional publication the author has to market herself too. I think marketing is always the hardest part – so many great books out there, so how to get noticed? Rita, I am so glad you did this. Thank you for sharing this personal experience. You're strong and yet there is a humble quality as I read your journey. Thank you. Hi Rita! Great interview! I haven't heard of Create Space before. I was planning on using Lulu, but I will check it out. Thanks for sharing your journey with us. It is very inspiring! Ooh – I am curious about your project now that you were going to use Lulu for!